The next Ambassador term will begin in October 2018 until August of 2019. Very few formal meetings are held as time is put in on event days. If you have additional questions about being an Ambassador, please contact the UW-Extension office. All youth in grades 7 and up are encouraged to become a part of the Youth Leader group! Not all youth leaders are Ambassadors. Join in the next meeting (below) to see what it’s all about! Next Youth Leaders Meeting: Sunday, April 14th at 4:00 p.m. at the First Congregational Church 2503 Main St., Social Room, La Crosse, WI 54601. Due Friday, March 15th, 2019 at 5:00 p.m. 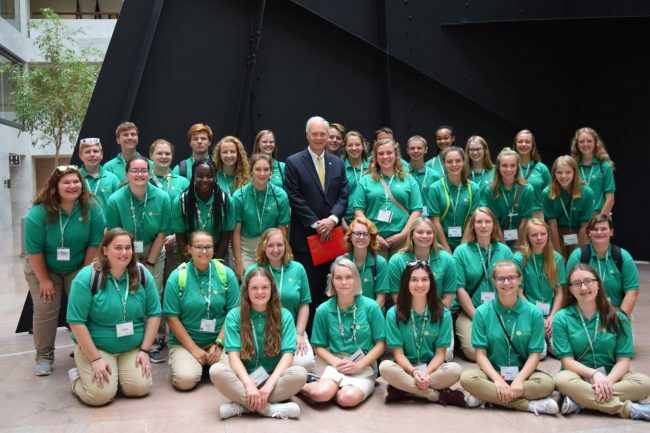 The Wisconsin 4-H Foundation will award more than $10,000 in scholarships to outstanding Wisconsin students pursuing higher education based on demonstrated personal growth, development, leadership, academic performance and future educational goals. 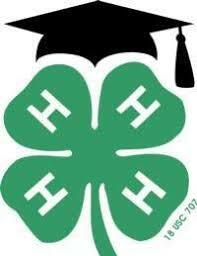 For details, eligibility and application, visit the WI 4-H Foundation Scholarship web page. Due Friday, March 22nd, 2019 at 11:59 p.m. The Wisconsin State Fair Dairy Promotion Board is offering $1,000 scholarships to students that will be 3rd or 4th year college students during the 2019-20 academic year. Applicants must be Wisconsin residents enrolled full-time at a 4-year Wisconsin school and be pursuing a dairy-related or food science degree. For details, eligibility and application visit the State Fair Dairy Promo Board Scholarship web page. Due Wednesday, May 1st, 2019 at 4:30 p.m. The La Crosse County 4-H Leaders Association will award up to 5 scholarships of varying amounts to current high school senior 4-H members who have been active for at least 5 years and will be pursuing a post-secondary education in fall of 2019. For details, eligibility and application, click here. Due Monday, April 1st, 2019 via mail. The La Crosse County Agricultural Society will award 2 scholarships of varying amounts to current high school seniors who participate in the La Crosse Interstate Fair, are active 4-H/FFA members and will be enrolled in post-secondary education in fall of 2019. For details, eligibility and application, click here. Due Monday, April 1st, 2019 via mail. The Western Wisconsin Beef Producers will award $300 scholarships to graduating high school seniors planning to end post-secondary education. Applicants must be or have an immediate family member that is in good standing of the Cooperative and be pursing education on an agricultural-related field. For details, eligibility and application, click here. Due Friday, March 1st, 2019 via mail. The Wisconsin 4-H Horse Association will award up to 6 scholarships to high school seniors or 1st year post-secondary students who have participated in the 4-H Horse & Pony Project for at least 4 consecutive years. Applicants must be pursuing higher education of any major. For details, eligibility and application, click here. Due Friday, April 19th, 2019 via mail. The University of Wisconsin-Madison Saddle & Sirloin Club will award up to 5 project scholarships to youth ages 9-18 who are in their 1st or 2nd year of the Swine Project. Applicants must use the $100 scholarships for project expenses. For details, eligibility and application, click here. All country programs will be chaperoned by a trained 4-H adult volunteer who remains in-country with youth for support and assistance throughout the month. For more information and a copy of the application, visit https://wi4hinternational.org/homestay/applications-forms/.